.... Does it mean that Praying Mantis is most useful, as it " will eat anything it can find"? If so,can you find & post its full picture? 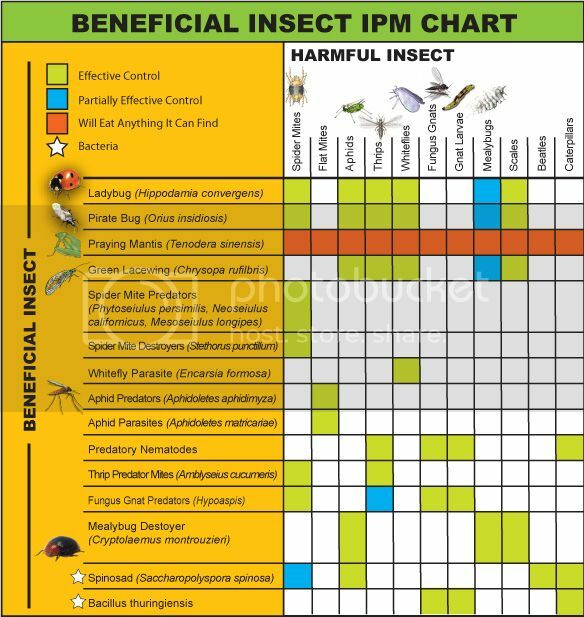 .... How can "Beneficial Insects" be arranged ? Mostly, beneficial insects are already at work in our gardens. Its a way of nature. There recognition is important in a way that we don't harm them to maintain the natural balance, moreover we should not be worried when we come across them, rather happy that little gardener's assistants are aiding the work of controlling excess pest infestion. I have observed most of these insects in my garden especially lady bugs which are most instrumental in controlling likes of aphids and thripes etc. Once i caught a praying mantis and left it in my garden, however never to be seen again. i wonder why. You can Google the image. I am not sure if these insects are available on commercial basis in our country but most developed country has that. praying mantis is common here but i was not aware its use as a pesticide.i googled and found that it eats every insect..thanks for giving us information about usefull insects. When you spray/fog insecticides you kill the friendly insects as well. Praying Mantis diet is dependent on its age. Adult mantis will mostly feed on larger prey, leaving behind aphids, thripes etc, However these compose of its diet when its young and smaller. Lastly it also depends on "WHAT MENU YOUR GARDEN IS SERVING HIM IN THOSE DAYS"